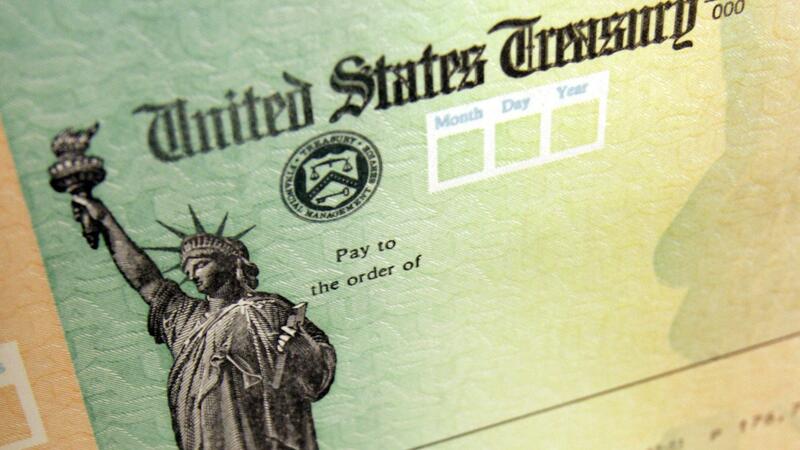 The White House says tax refund checks will go out despite the partial government shutdown. Office of Management and Budget acting Director Russell Vought told reporters Monday that tax refunds will go out, contrary to previous government shutdown policies. "We have tried to make this as painless as possible, consistent with the law," he said. It's not clear, however, how it will happen smoothly, given the 70,000 IRS employees who are furloughed. It is nearing the time of year when many of us start receiving our W-2 forms and begin to search through the files or shoeboxes for the receipts and other documents in that annual chore known as filing our taxes. But don't expect many answers from the IRS to questions you might have about the new tax law. "It was always going to be a stretch for a very stretched IRS" to deal with this filing season, said former Commissioner of Internal Revenue Steven Miller, adding, "This can't help." Remember that big tax cut approved by Congress and the president? This is the first time it will be reflected in most people's tax returns. Miller said the IRS already had its hands full preparing for all the changes, updating its computer software and writing new paper forms. And while that work is likely being done by the IRS personnel who remain on the job, Miller said there is a lot of other work that isn't, including training in the new tax law for those who answer the IRS help line. "And even if the phones open," Miller said, whether those who answer the calls will be sufficiently trained to help taxpayers with questions "is a real issue in my mind." Another thing the IRS isn't doing now is conducting any audits or other types of enforcement. But Miller said the agency is still taking your money. "For example, if you paid your or are about to pay your Jan. 15 estimated tax payment as I did this past weekend," Miller said, "they are more than happy to accept that money." In 2018, the IRS paid more than $212 billion in refunds in the first three months of the year, an average of almost $2,900. Former Commissioner John Koskinen said for many folks, receiving a timely refund may not be a matter of life or death, but for some low-income taxpayers, their refund is a big deal, calling it "the biggest financial event in the year" for many. The IRS may decide to bring back some of its furloughed workers as the tax-filing season nears. But so far the agency has been been tight-lipped about its plans. The House plans to bring up a measure Tuesday to fund the agency through the rest of the fiscal year, a move likely to be opposed by Senate Republicans and the White House. The president is set to address the nation Tuesday night. The IRS is one of the federal agencies affected by the partial government shutdown. And many taxpayers may feel it's not too big a loss, but it's causing a lot of uncertainty as tax filing season approaches. NPR's Brian Naylor reports. BRIAN NAYLOR, BYLINE: It's nearing the time of year when many of us start receiving our W-2 forms and begin to search through the files, or shoeboxes, for the receipts and other documents in that annual chore known as filing our taxes. The big tax-preparing companies are already running TV commercials promoting their services despite the shutdown. UNIDENTIFIED ACTOR #1: (As character) Hi, Lina (ph). Is now a good time to go through your tax return line by line together? UNIDENTIFIED ACTOR #2: (As Lina) Yeah, line by line sounds awesome. And please take your time. NAYLOR: But this tax filing season may not be all that awesome for many taxpayers. The partial government shutdown has furloughed some 70,000 IRS employees at a crucial moment. STEVEN MILLER: It always was going to be a stretch for a very stretched IRS to meet this date. This can't help. NAYLOR: Steven Miller is a former IRS commissioner. Remember that big tax cut approved by Congress and the president? This is the first time it will be reflected in most people's tax returns. Miller says the IRS already had its hands full preparing for all the changes - updating its computer software and writing new paper forms. And while that work is likely being done by the IRS personnel who remain on the job, Miller says there is a lot of other work that isn't. MILLER: The other piece that will harm folks is the readiness of forms, the readiness of guidance, the readiness of people on the phone. Even if the phone's open, whether those people will be sufficiently trained to help folks or not is a real issue in my mind. NAYLOR: Another thing the IRS isn't doing now is conducting any audits or other types of enforcement. But Miller says fear not. The agency is taking your money. MILLER: For example, if you paid - or were about to pay your January 15 estimated tax payment, as I did this past weekend, they are more than happy to accept that money. If you were owed a refund of some kind because your tax year ended, and this is the time for that refund - not so fast getting that money back out. NAYLOR: Last year the IRS paid more than $212 billion in refunds in the first three months of the year - an average of almost $2,900. OMB acting director Russell Vought told reporters today that tax refunds will go out despite the shutdown. Former IRS Commissioner John Koskinen says for many people receiving a timely refund may not be a matter of life or death. But for some low-income taxpayers, their refund is a big deal. JOHN KOSKINEN: Obviously if it goes for some period of time, and lower-income people are denied their refund, which are oftentimes the biggest financial event in the year for them, you may create a crisis in particular situations. But for the vast majority of people who receive refunds, the delay is not a life-threatening issue. NAYLOR: The IRS may decide to bring back some of their furloughed workers as the tax filing season nears. But so far the agency has been tight-lipped about its plans. The House plans to bring up a measure tomorrow to fund the agency through the rest of the fiscal year - a move likely to be opposed by Senate Republicans and the White House. Brian Naylor, NPR News, Washington. Transcript provided by NPR, Copyright NPR.